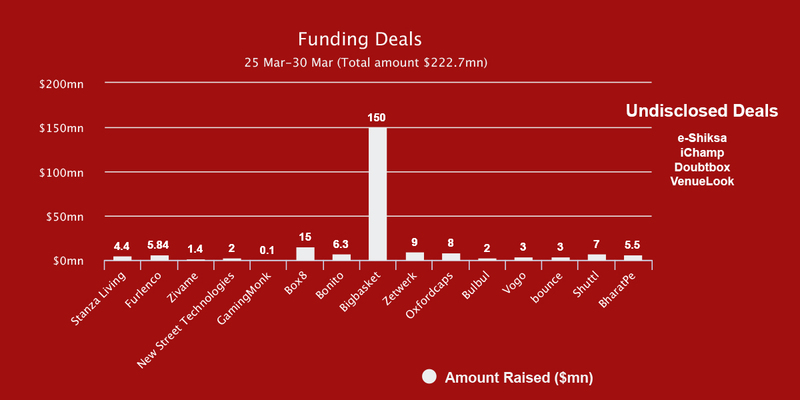 This week 19 Indian startups received funding, of which 15 received a total sum of about $222 million. Among them, Bigbasket raised the highest funding of about $150 million followed by Box8 which raised about $15 million. Meanwhile, funding for 4 of the total funded startups remained undisclosed. Box8: Foodtech platform Box8 has announced $15 Mn Series C round led by Chinese fund – eWTP Ecosystem Fund. Existing investors Mayfield and IIFL Seed Ventures fund have also participated in the financing round. Bonito: Interior designing brand Bonito Designs has raised $6.3 million in its Pre-Series A round of funding led by Tomorrow Capital. Bigbasket: Online grocery platform Bigbasket has finally entered the league of Unicorn startups with latest $150 million Series F round from Alibaba, UK Government-owned CDC Group and South Korea’s Mirae Asset Global investment. The financing round valued e-grocer over a little over $1.2 billion. Zetwerk: Business-to-business platform for custom manufacturing – Zetwerk – has raised $9 million in a Series A round from Accel Partners while existing investors Sequoia Capital and Kae Capital also participated. Oxfordcaps: Student housing startup Oxfordcaps has raised $8 million in Series A round led by Times Internet. 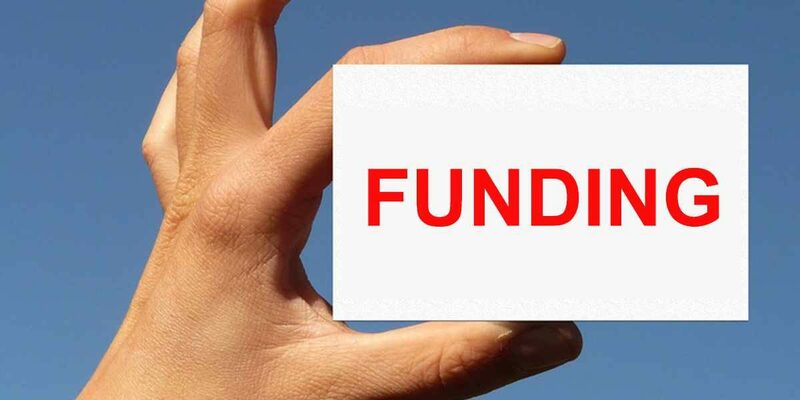 Existing investors Kalaari Capital and 500 Startups also participated in the financing round. Bulbul: Live commerce app Bulbul has raised around $2 million from Sequoia’s investment arm 10XF and Leo Capital. Sequoia India Trust, Garg and Raju contributed a few lakhs each in Bulbul. The seed round is expected to get closed at $5 million. Vogo and Bounce: Flipkart’s co-founder Sachin Bansal is now backing scooter rental platforms Vogo and Bounce. Bansal has reportedly made about $3-4 million debt investment in each firm. New Street Technologies: Bengaluru-based fintech startup, New Street Technologies raised $2 Mn in Series A funding led by Unitus Ventures. Stanza Living: Student housing startup Stanza Living raised $4.4 Mn in venture debt from Alteria Capital. Furlenco: Bengaluru-based online furniture rental platform Furlenco has raised around $5.8 million in Series C round from Lightbox Ventures, Crescent Enterprises and others. Zivame: Bengaluru-based online lingerie retailer Zivame raised $1.4 million from Allana Investment and Trading Company in extended Series C round. Gaming Monk: Delhi-based gaming and esports platform GamingMonk has raised $0.1 million in strategic investment from Japanese gaming media company GameWith. BharatPe: Unified Payments Interface-based transactions at retail merchant outlets BharatPe has raised $5.5 million from US-based fund Insight Venture Partners. Shuttl: Bus shuttle service startup Shuttl has raised $7.2 million from Sequoia, Lightspeed and Times Internet.